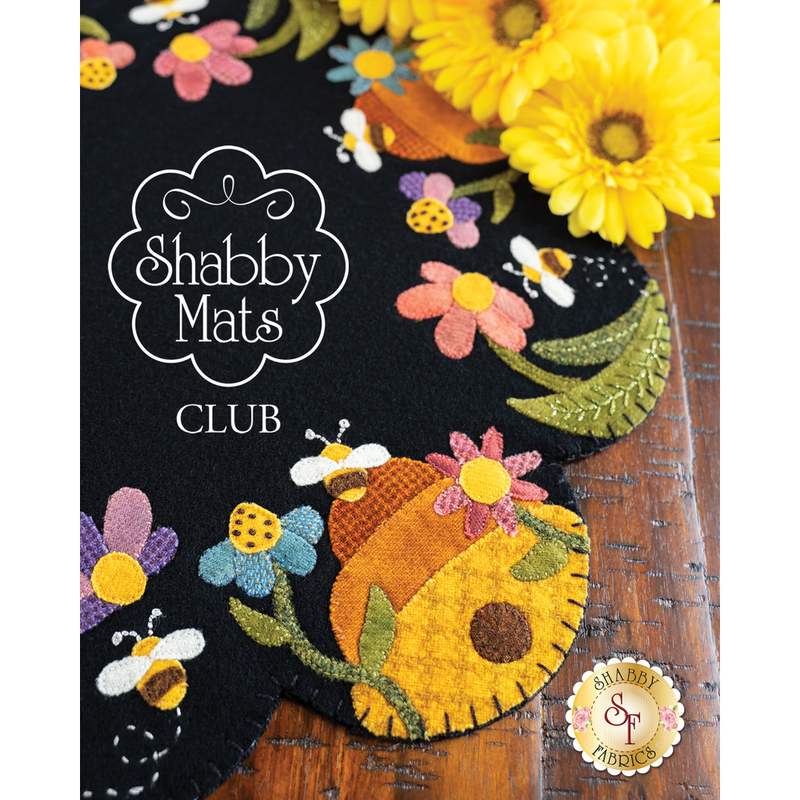 You get a second chance to join one of our most popular wool clubs to date! 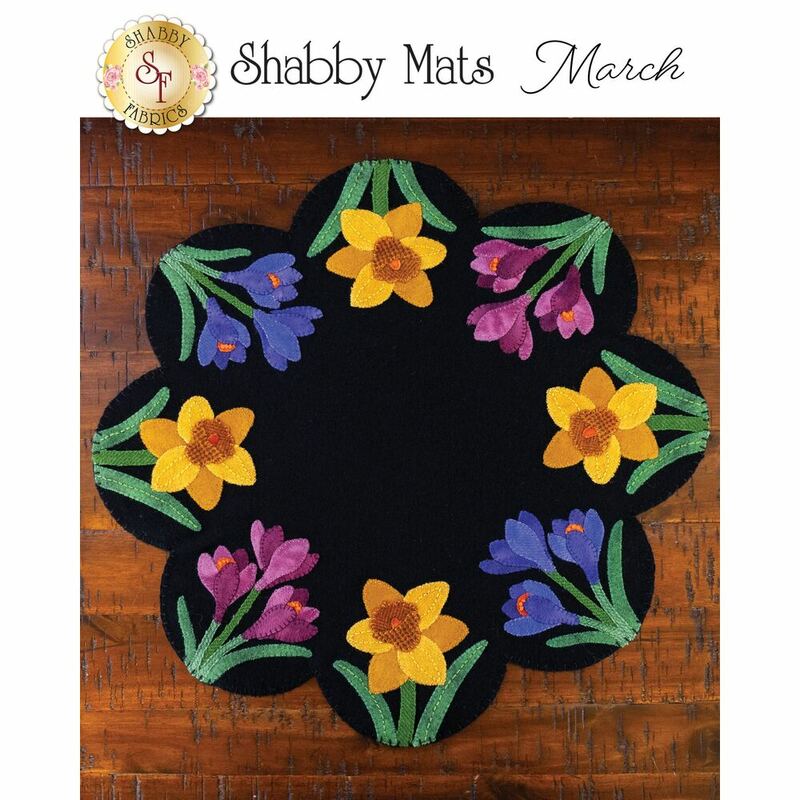 We've added a new round of signups. 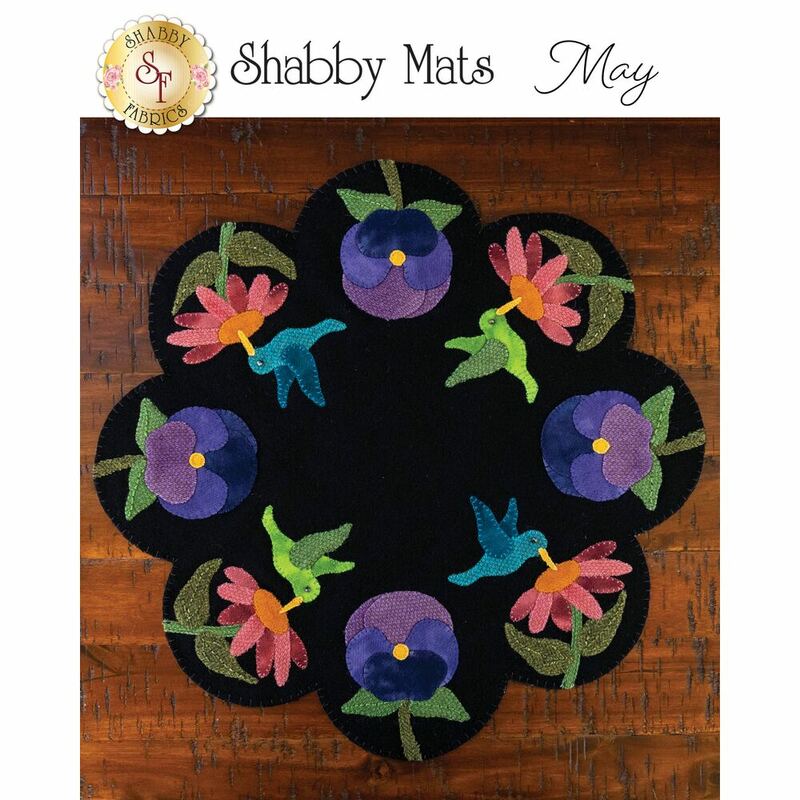 Round 2 will begin in May 2019. 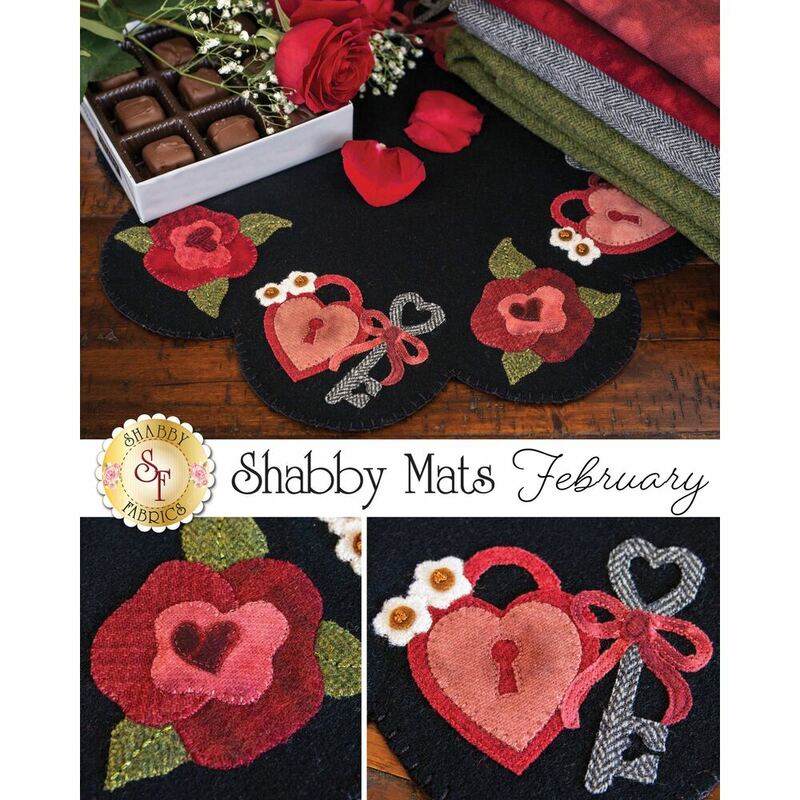 Don't miss out, sign up now to secure your spot! 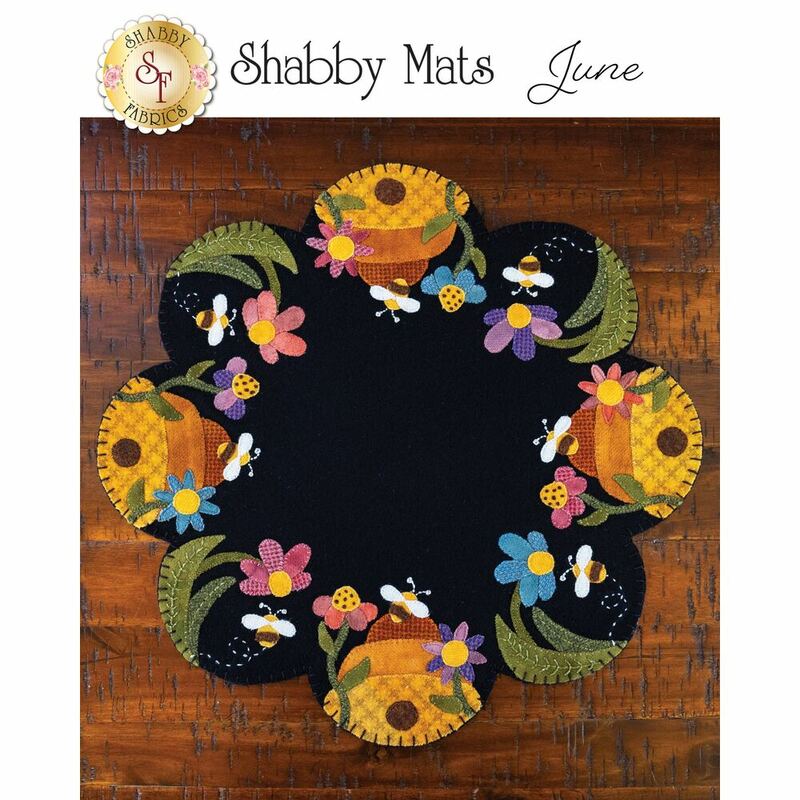 The 100% wool scalloped mats celebrate the things that make each month special! 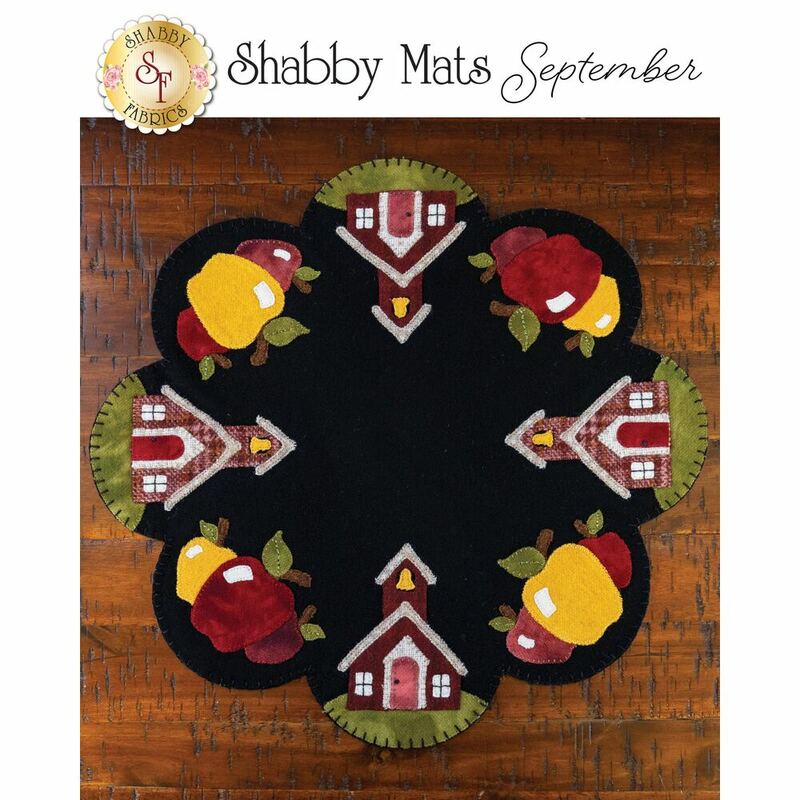 For each kit we've chosen richly colored hand-dyed wools that bring each design to life. 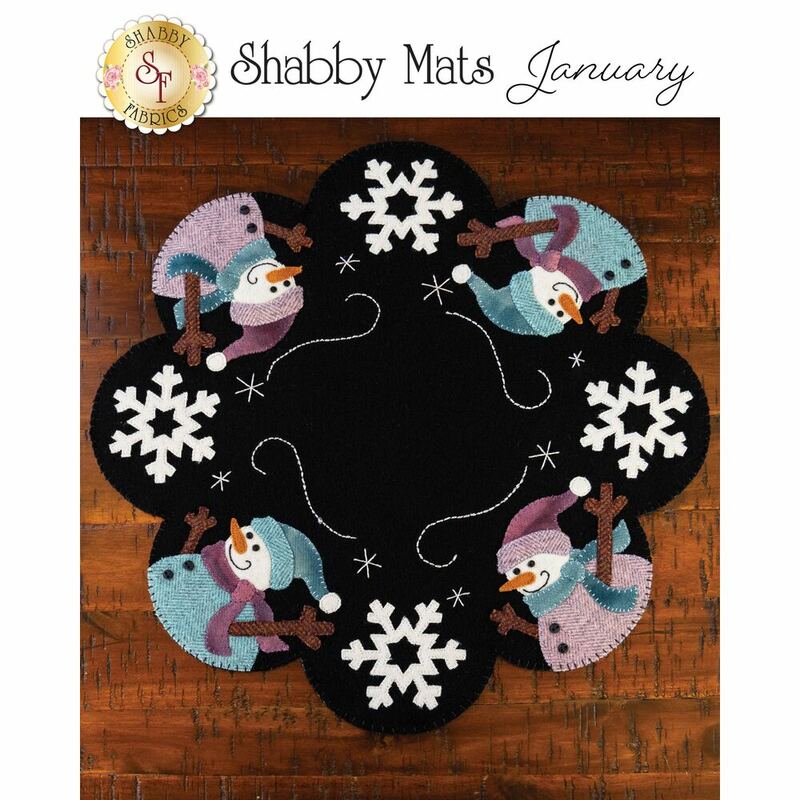 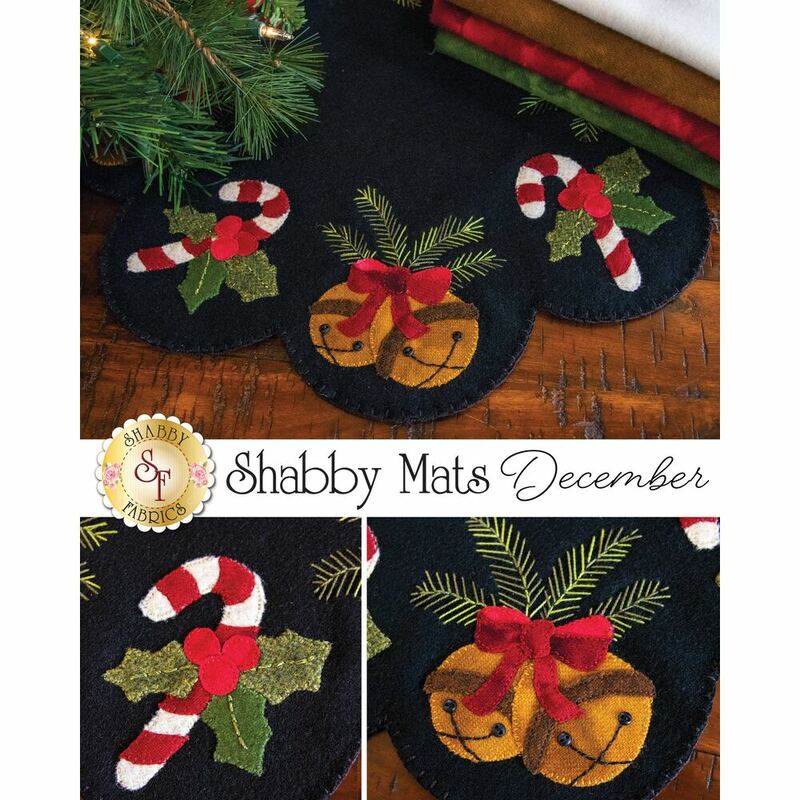 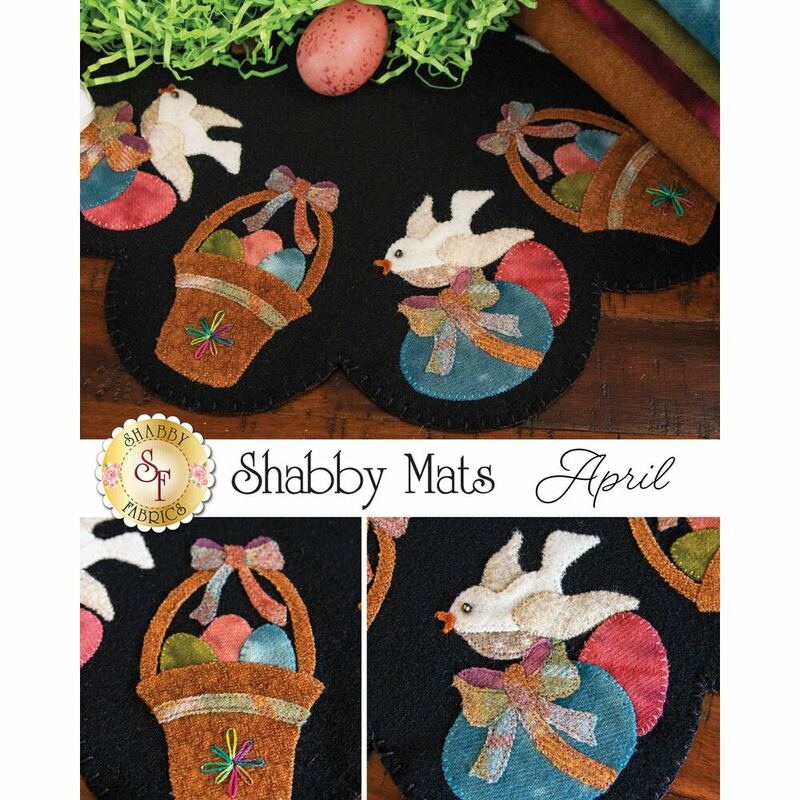 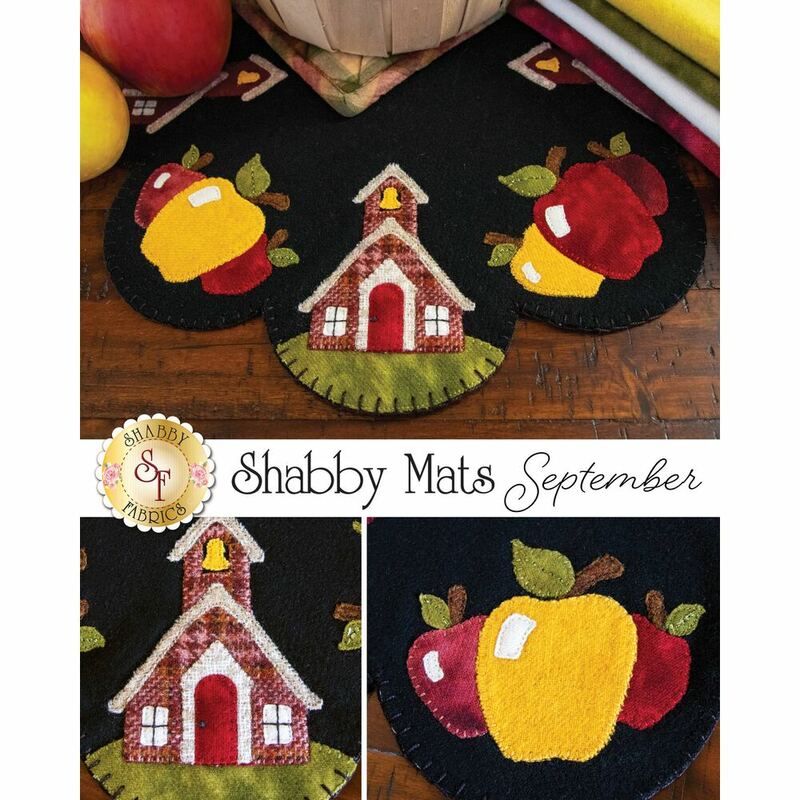 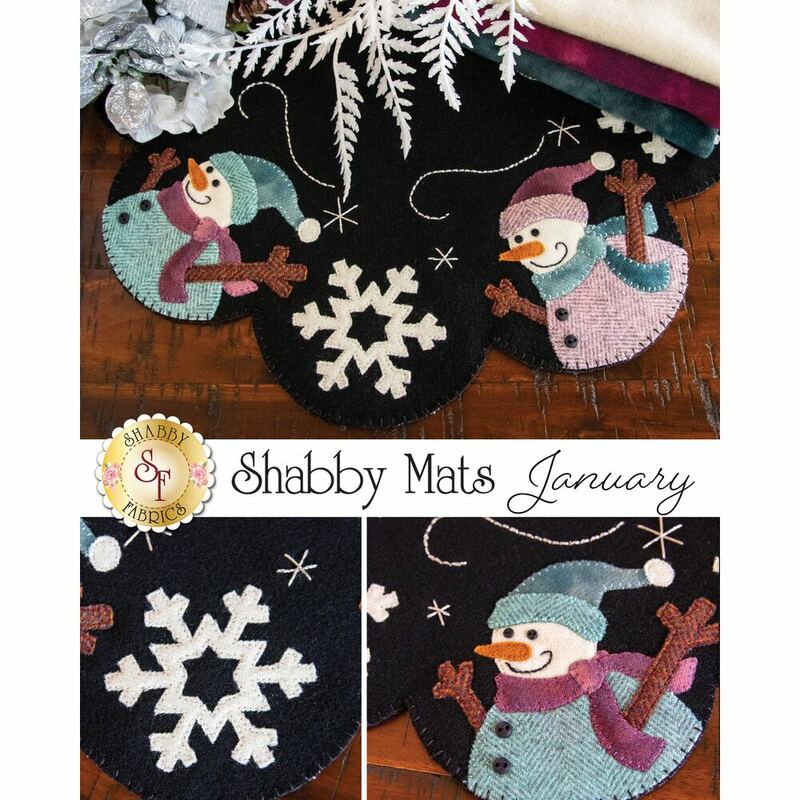 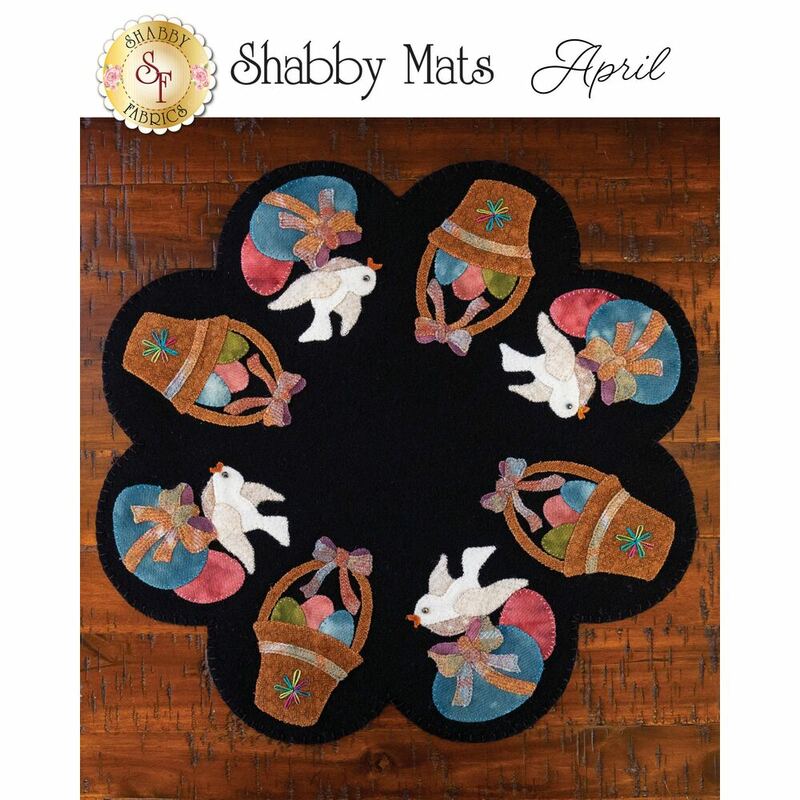 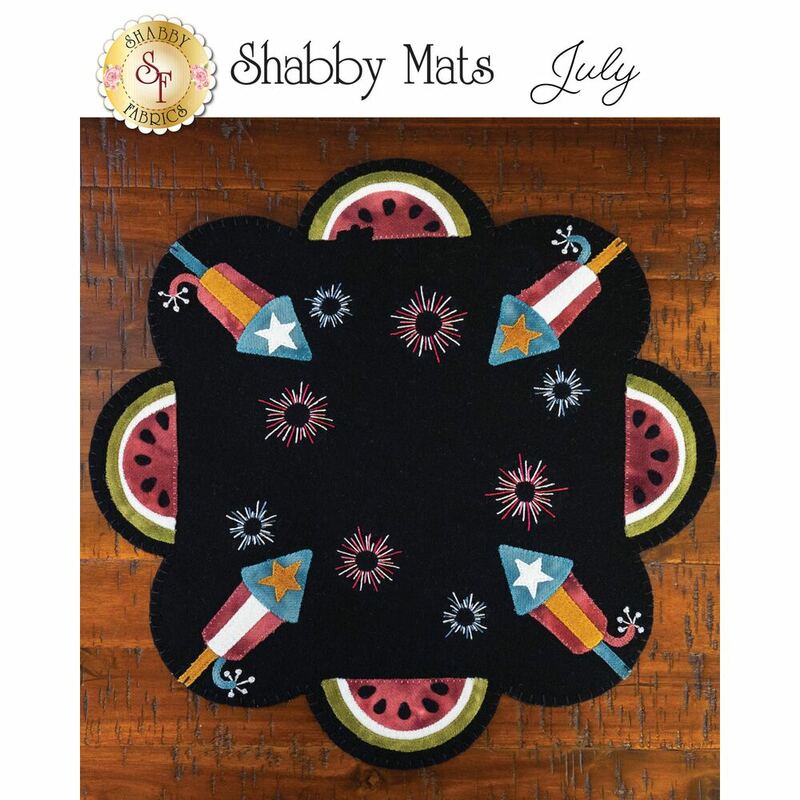 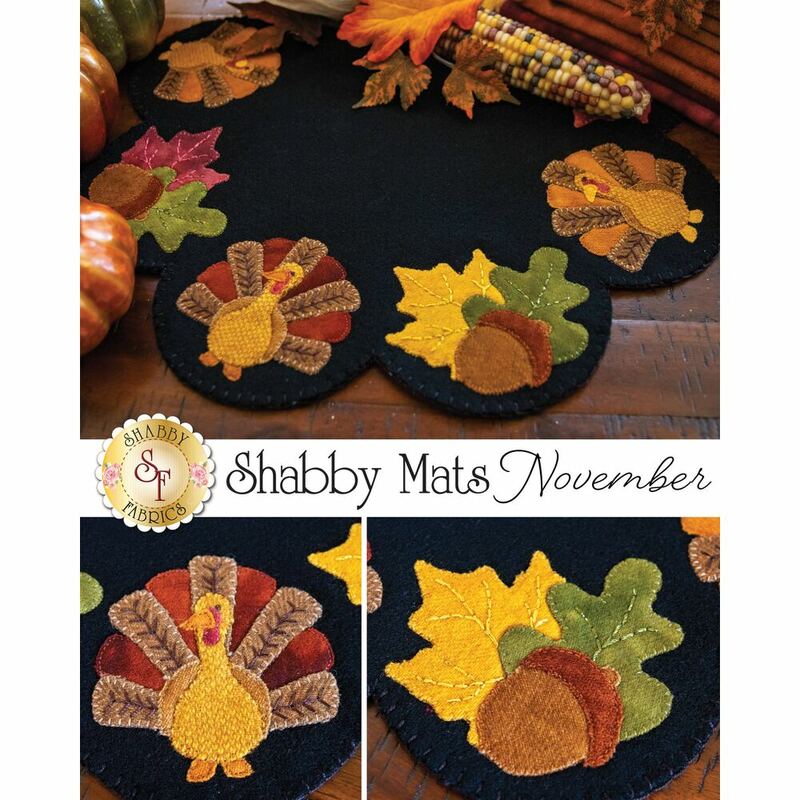 You'll look forward to making and displaying your Shabby Mats all year long! 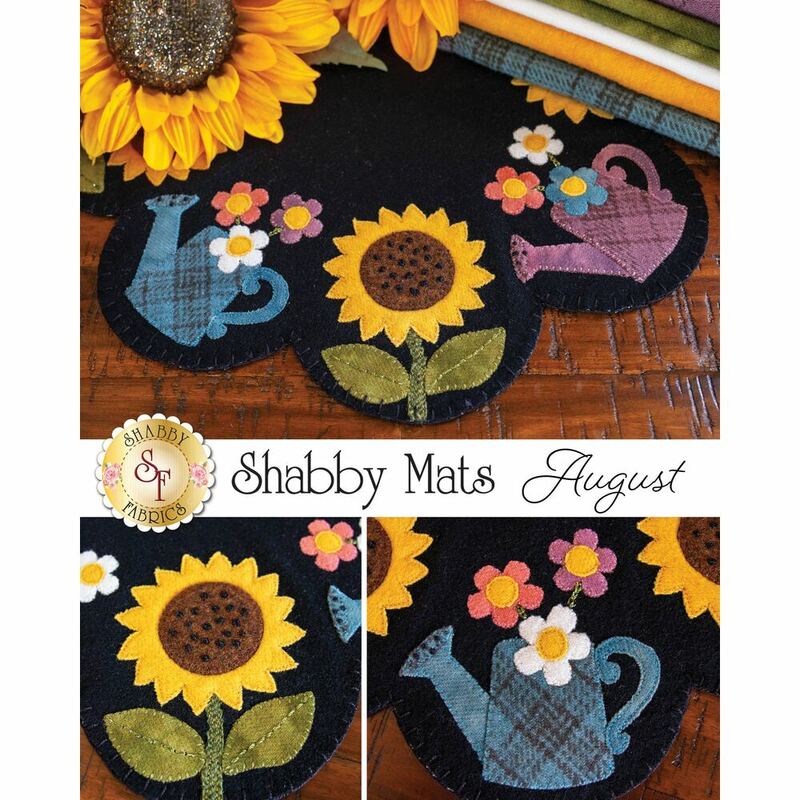 These delightful designs are only available at Shabby Fabrics! 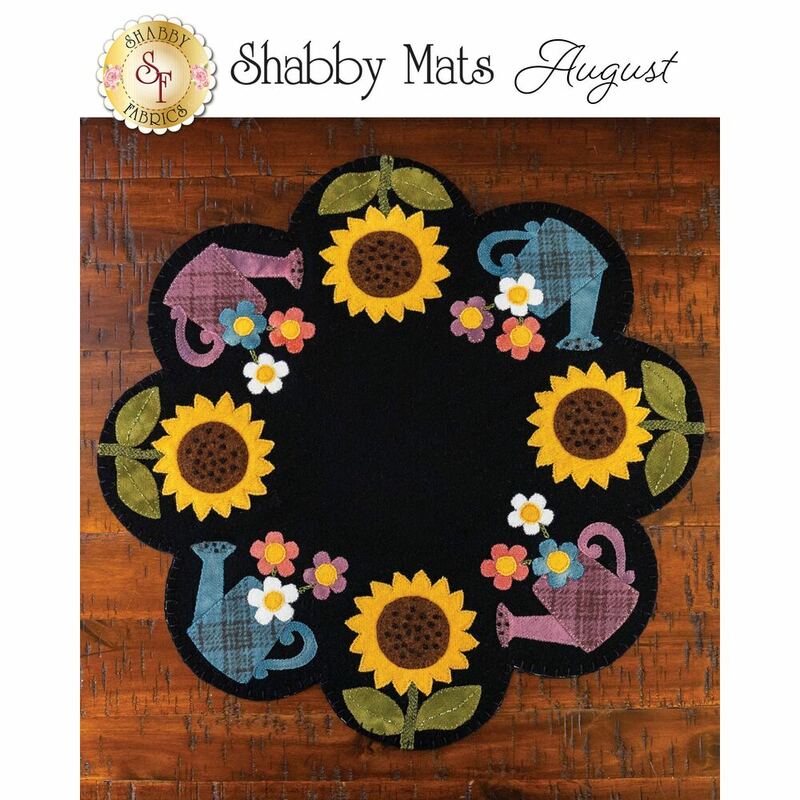 This program begins in May 2019 and runs for 12 months. 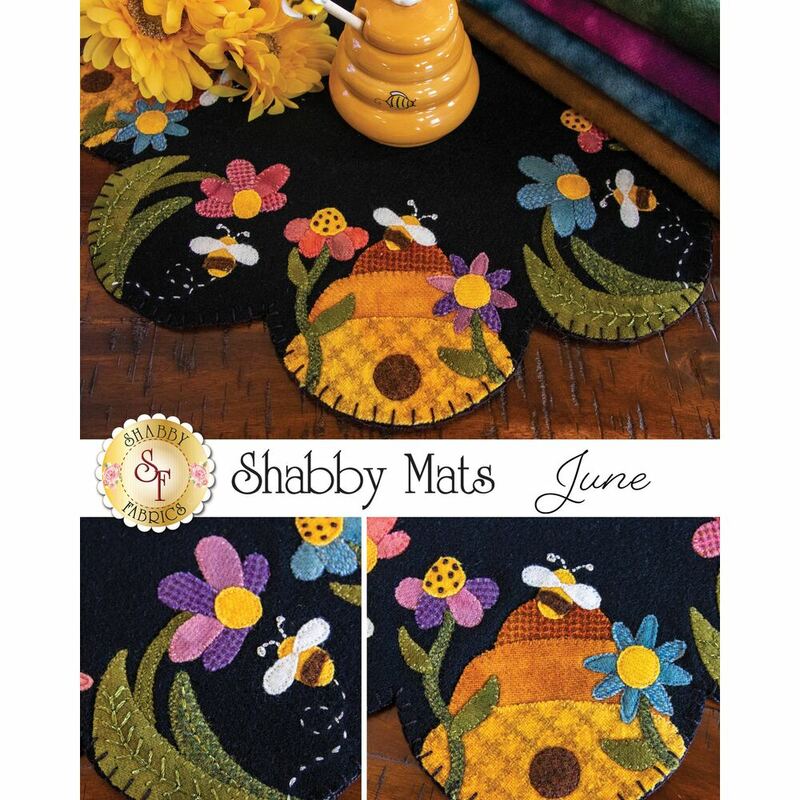 May's shipment will include the kit for the June project. 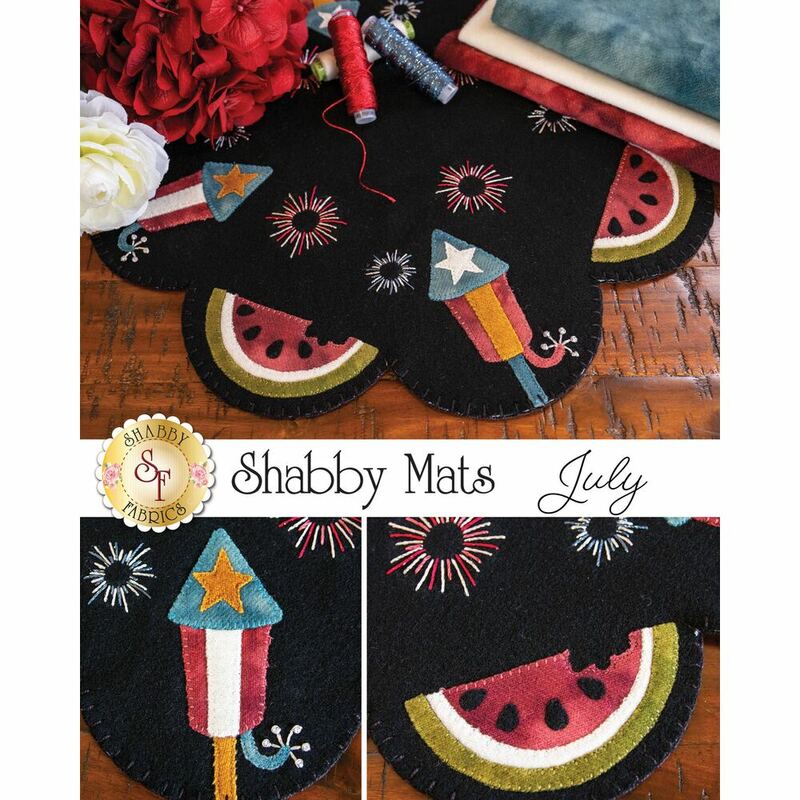 June's shipment will include the kit for the July project, and so on, giving you plenty of time to complete each project for the upcoming month! 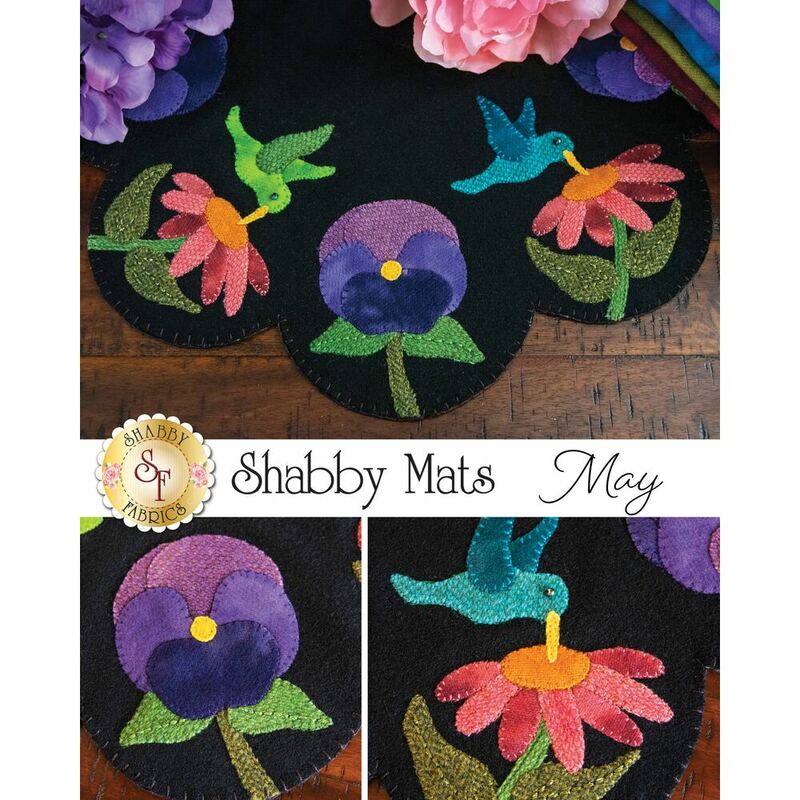 52pc Shabby Mats Club Appliqué Thread Set - Beautifully coordinated colors for machine or hand stitching down your wool appliqué. 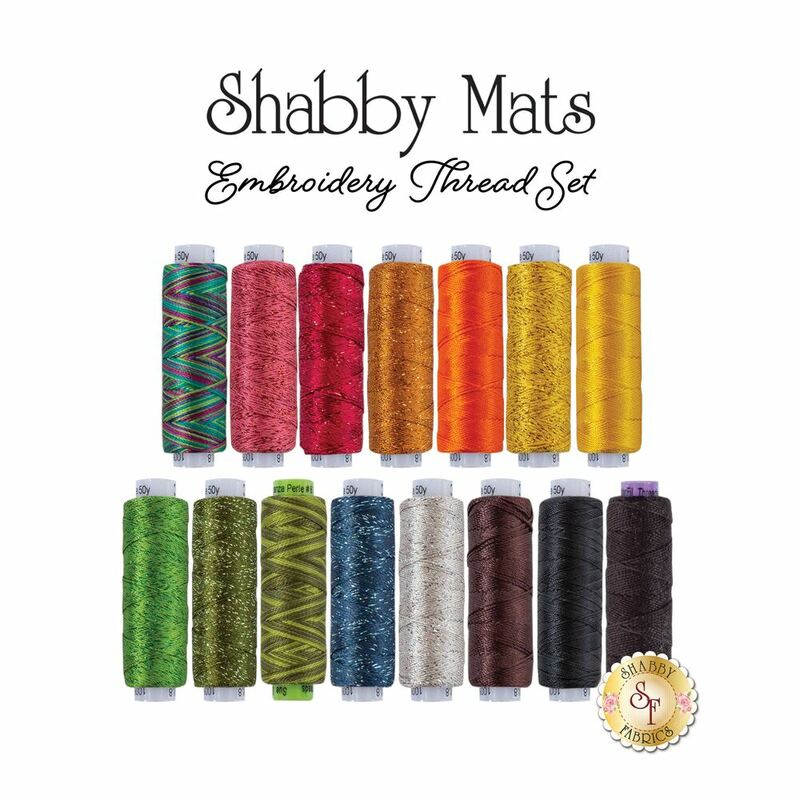 This thread set is $123.50. 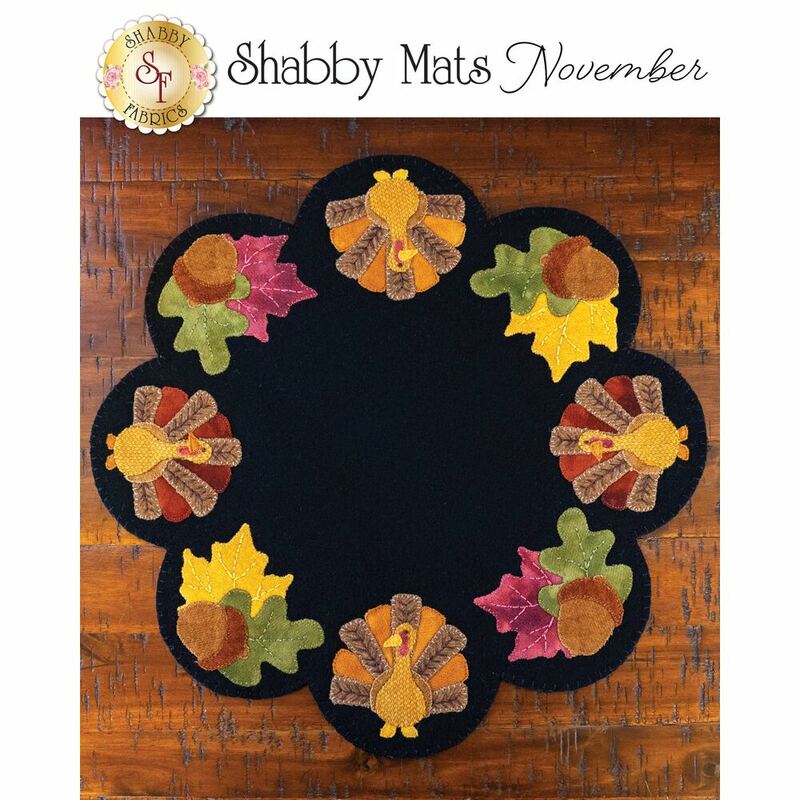 Upon purchase of this item, $5.00 will be charged now and when the thread set ships in May 2019, the balance of $118.50 plus shipping will be charged. 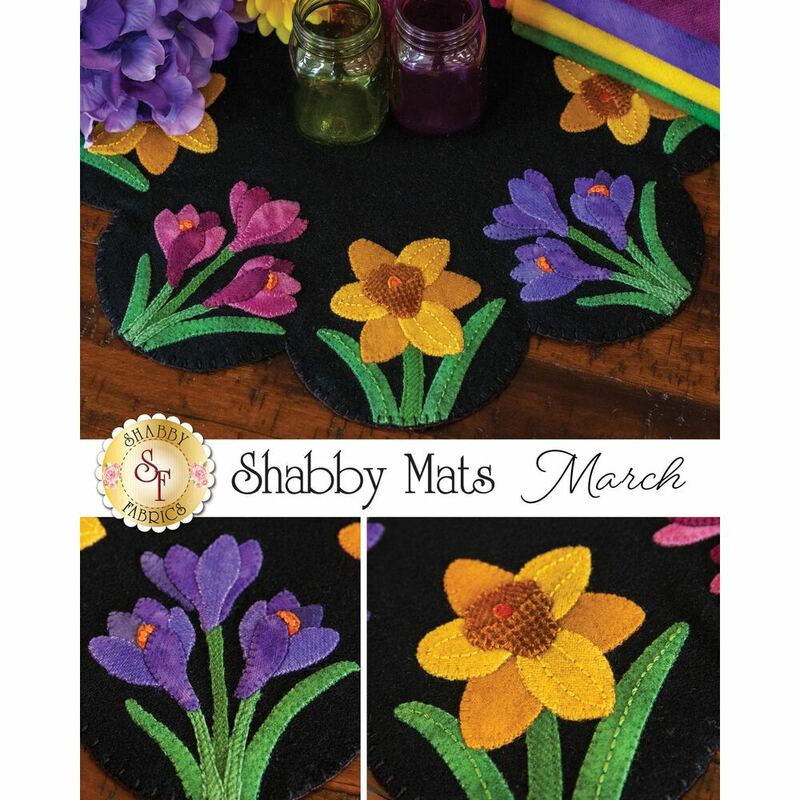 15pc Shabby Mats Club Embroidery Thread Set - Beautifully coordinated colors for completing the decorative hand embroidery. 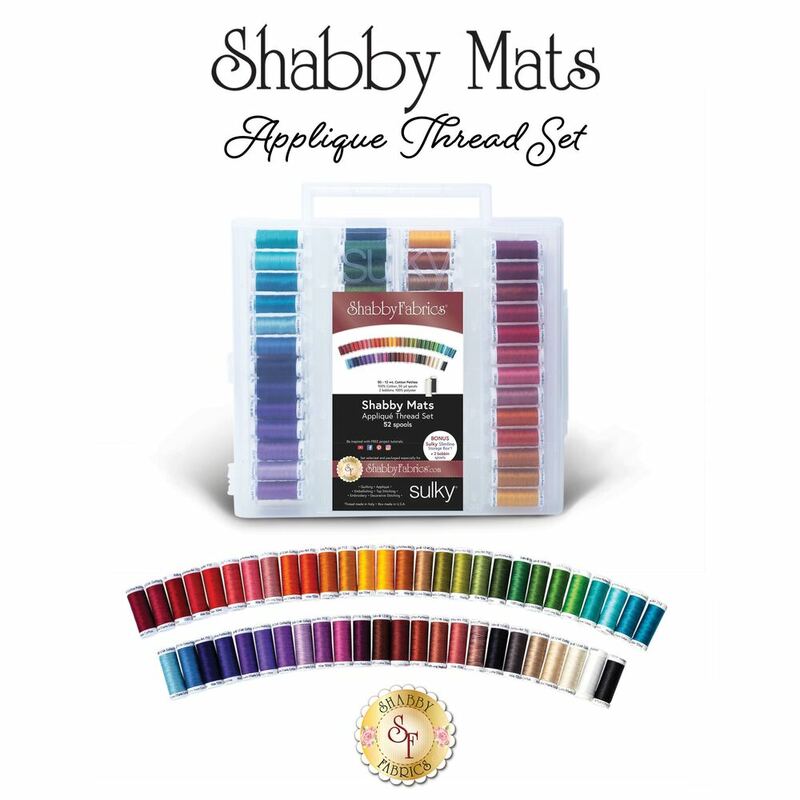 This thread set is $59.50. 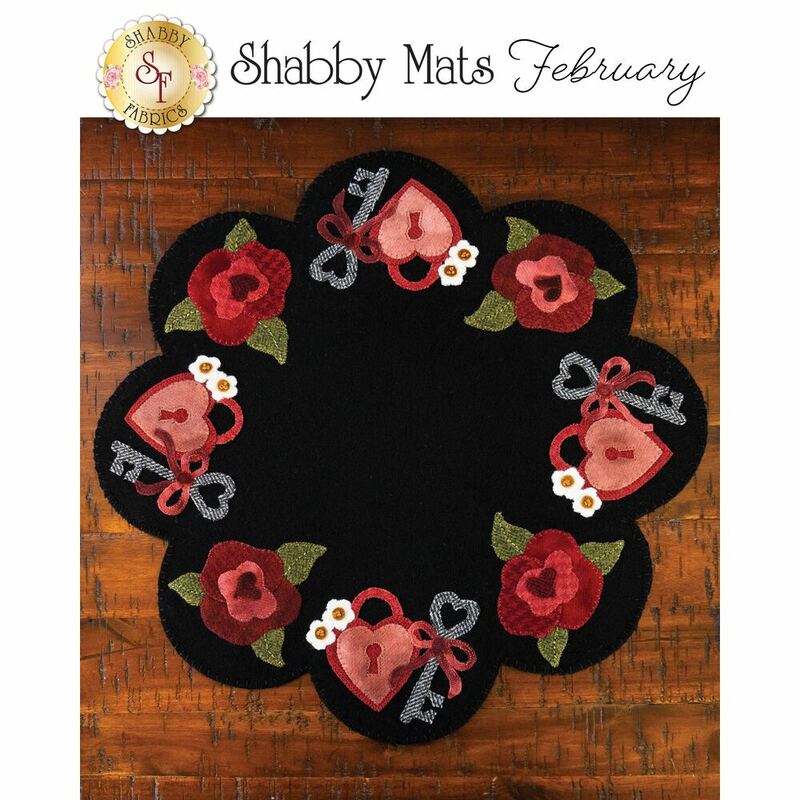 Upon purchase of this item, $5.00 will be charged now and when the thread set ships in March 2019, the balance of $54.50 plus shipping will be charged. 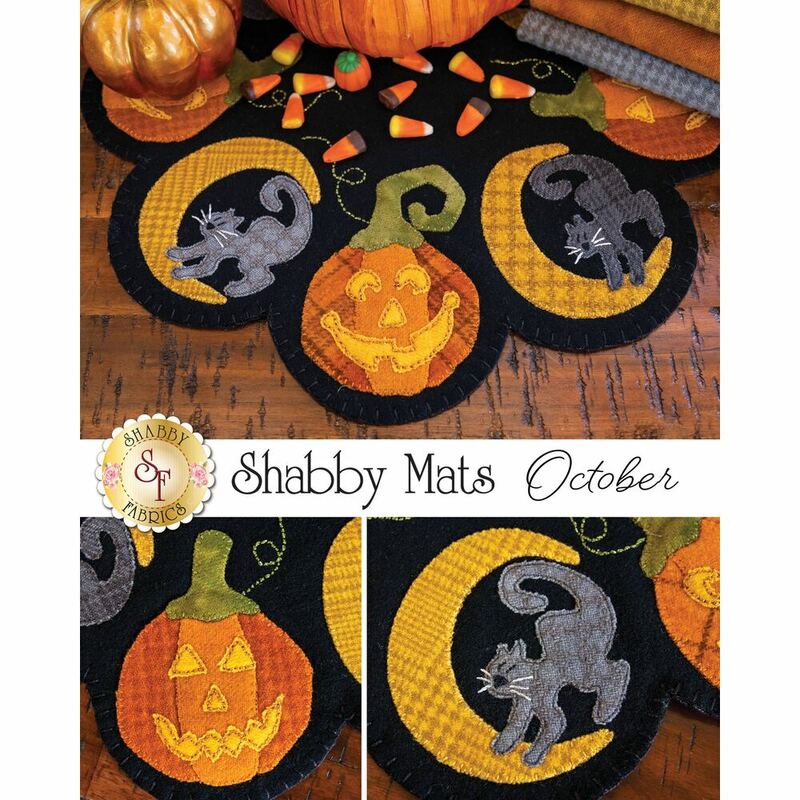 Shape-Flex All Purpose Woven Fusible Interfacing - Highly Recommended for stabilizing wool, reducing stretching and warping for both machine and hand embroidery. 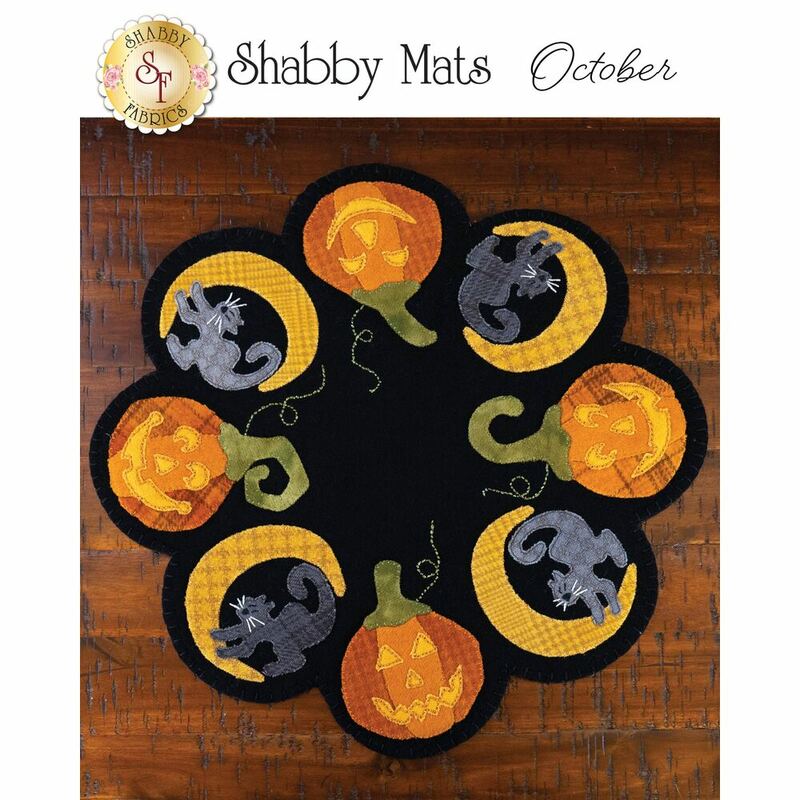 This product is $29.70. 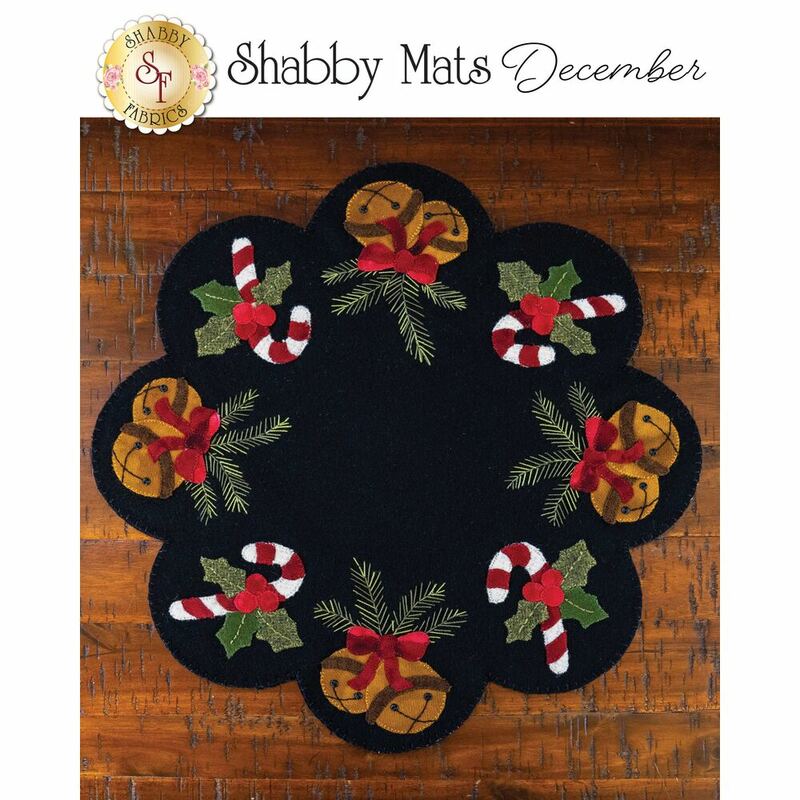 Upon purchase of the item, $5 will be charged now and when the product ships in May 2019, the remaining balance of $24.70 will be charged.